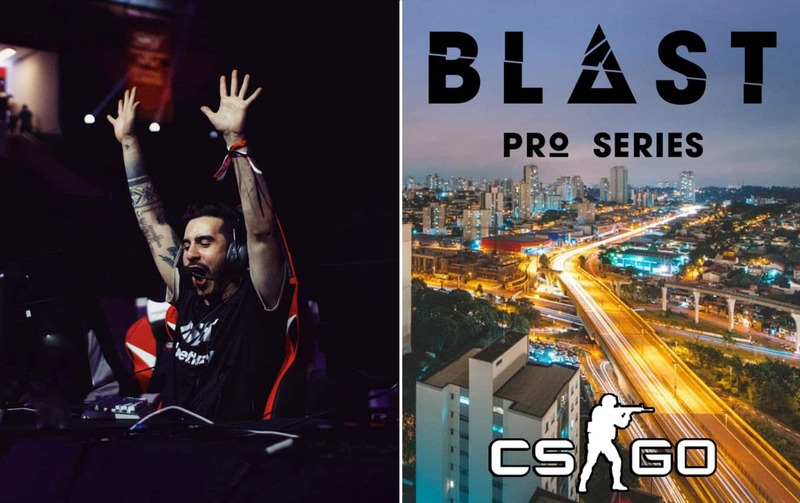 BLAST Pro Series Sao Paulo is one of the two biggest upcoming events in CS:GO esports. It will feature the biggest names such as Astralis, MiBR, Team Liquid and so on. In terms of the quality of competition, we can easily consider BLAST Pro Series: Sao Paulo being a mini Major. BLAST Pro series events are newly formed series that were held in 2017 for the first time. BLAST Pro made a debut in November 2017 in Copenhagen. Actually, if we compare the competitors from that tournament to competitors from BLAST Pro Series: Sao Paulo, four of them are identical. 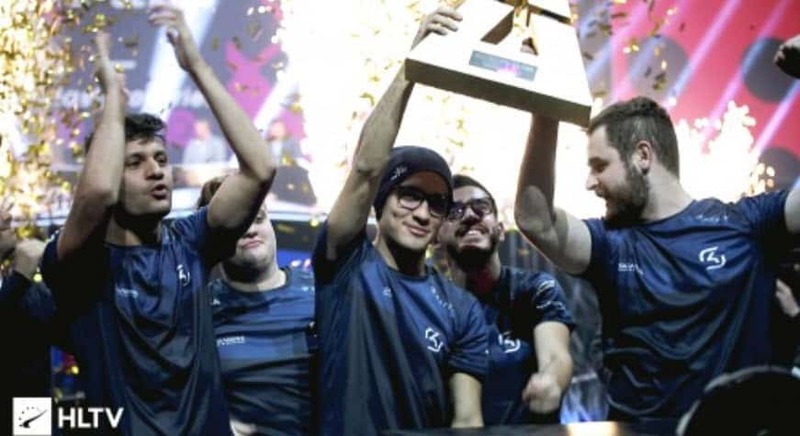 However, at that time, the famous Brazilian squad (MiBr) was playing under SK Gaming’s logo. Moreover, if we look back at all four events in the last two years, we will mostly see the same names. Astralis, Ninjas in Pyjamas and MiBR (SK Gaming) took part in all BLAST Pro Series events so far. That’s understandable as teams get an invite for the event. In Copenhagen that year, SK Gaming defeated Astralis in finals 2-1. The next tournament took place in Istanbul in September of last year. Astralis got their revenge against the Brazilian squad. The Danes (Astralis) beat MiBR with a score 2-1 to clinch their first BLAST Pro Series trophy. Unfortunately for the Danish team, they didn’t even reach a Grand Final at the following tournament in Copenhagen last year. It was an unexpected result considering that they played on home soil. In addition to that, the last year was the year of their dominance, which makes that failure even bigger. Natus Vincere faced NiP in the final of BLAST Pro Copenhagen last year and defeated them 2-0 to win the trophy. The last BLAST Pro Series tournament was held in Lisbon at the end of the season. Astralis managed to complete a great year. They defeated Natus Vincere in final with ending scoreline 2-1. All BLAST Pro Series tournaments use the same format. There are six teams that compete in the Round Robin Group Stage. All matches are Bo1. Afterward, the best two teams face each other in the Grand Final. The first team who wins two maps is the winner of Grand Final. Also, there is something called Pro Standoff. More: What are the Favorite Maps of CS:GO Pro Players? Namely, the third team has an opportunity to earn some additional money in a show match against the team they want to face. They basically choose some team from the three remaining teams. Then players from both teams have to play 1v1 aim duels match-ups. The winner of the Pro Standoff match earns an additional $20,000. The prize pool for the whole event is $250,000. The winner gets half of the prize pool, and vice-champion receives $50,000. The team that won 3rd place earns $25,000. Where to watch the BLAST Pro Series? The BLAST Pro Series: Sao Paulo is going to feature the best commentators and analysts. The host will be Adam Savage, and desk host is going to be Sjokz. The interviewer will be well-known Frankie. Also, viewers will be able to listen to comments of SPUNJ, Maniac, Machine, Scrawny, and many others. What distinguishes Sao Paulo from other events is a really loud crowd and a great atmosphere. The same atmosphere could be seen in Lisbon last year as well. That is definitely going to make the whole experience even better. Also, no professional player can deny that a loud crowd can affect them in some way. An audience is most likely going to root for the domestic team, MiBR (Made in Brazil). However, if you are unable to get to Sao Paulo, you can at least enjoy in high-quality streams on the BLAST Pro Twitch channel. What to expect from the tournament? The only thing you can definitely expect from this event is interesting and high-quality matches. Of course, the absolute favorite for winning the title is Astralis. However, they have to beat very tough opponents. They will play against MiBR, Team Liquid, NiP, FaZe and ENCE. As you can see, all these teams reached the IEM Katowice 2019 Play-offa. Astralis already beat MiBR, ENCE, and NiP in Poland. However, they have to play Bo1 matches now. B01 matches are always tricky, and we see much more upsets when they are played instead of Best-of-3. In addition to that, when Astralis face MiBR they will have to beat much more than 5 players. The Brazilian crowd is definitely going to cheer for MiBR passionately, and will be MiBr’s 6th man. Team Liquid definitely prepared something for Astralis at the last Major. However, they didn’t manage to get a chance to demonstrate their new tactic as ENCE knocked them out. Also, Team Liquid defeated Astralis in the final of iBUYPOWER Master IV. Therefore, Astralis undoubtedly won’t have an easy job. On top of that, it is going to be interesting to see whether ENCE can keep competing at a high level against the best teams in the world. They didn’t perform so well at recent Online matches. So, we will see if their results at IEM Katowice 2019 was just pure luck.